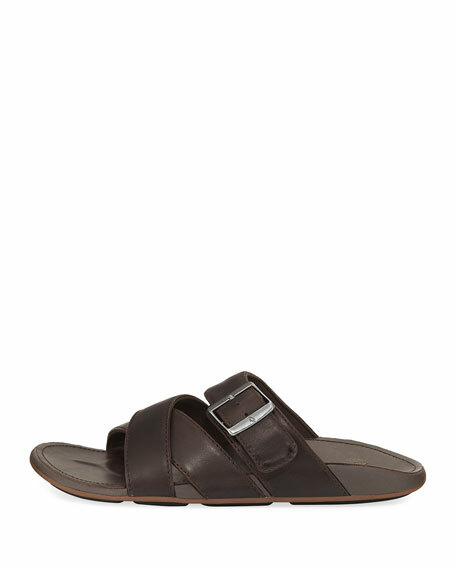 Olukai slide sandal featuring full-grained leather upper with soft jersey knit lining. Outboard strap construction offers free yet secure fit. Front straps crisscross over vamp. Upper strap with silvertone buckle. 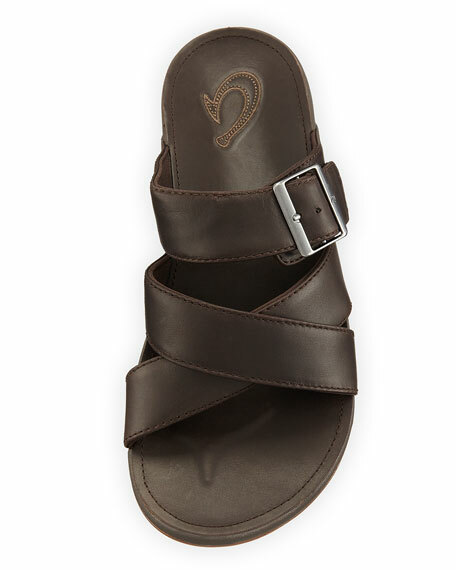 Compression-molded EVA footbed with leather cover. For in-store inquiries, use sku #2164537.